Burning Bush is a hardy and attractive shrub or small tree growing to 15 feet, which will thrive almost anywhere. It is especially suitable for colder regions where it will tolerate extremely low temperatures and yet also survive summer drought. 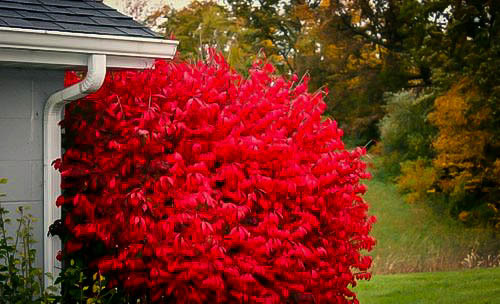 Its main feature is the spectacular scarlet-red fall color, which will bring your garden alive and amaze your neighbours. It can be easily pruned or clipped into a hedge and makes a beautiful boundary screen or an isolated specimen tree. 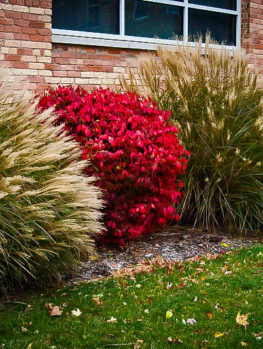 The Burning Bush can be planted almost anywhere, in sun or partial shade, and even along a path or driveway, since it does not have large roots that will lift paving or foundations. It has no pests or diseases and it is also resistant to deer. 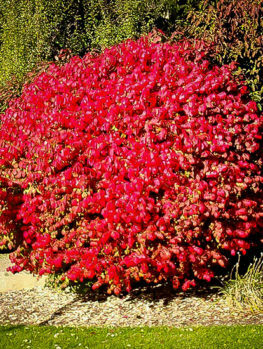 If you are looking for an easy shrub that will grow well anywhere, Burning Bush is for you. **Burning Bush cannot be sold to Massachusetts or New Hampshire as it is has been placed on their extensive lists of prohibited plants. Every garden should come alive with color in the fall. 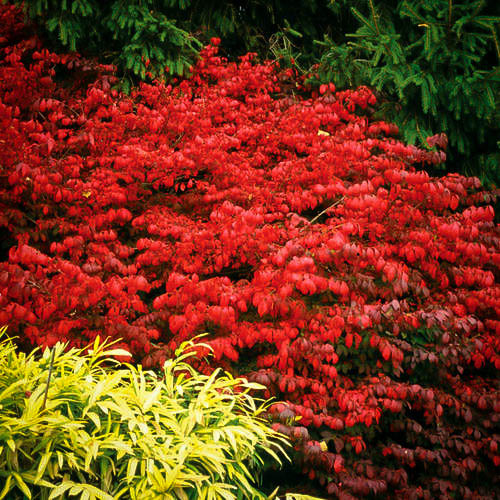 If you could get the most spectacular fall color imaginable from a tough, problem-free shrub or small tree that can be easily pruned into a hedge, that will grow in any soil and tolerate bitter cold and drought too, wouldn’t you want that plant? Well, Burning Bush will do it. This is one of the toughest shrubs around; it is hardy not just in all the northern states, but right up in to Canada too. Yet it will grow happily in hot states as well. 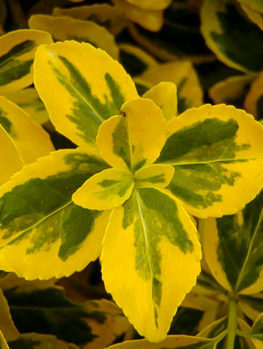 It has no pests or diseases, grows fast and is easily pruned at any time of the year. Burning Bush will easily grow a foot a year -and not just up, but out as well. Yet it can be pruned easily into a neat hedge and the more you prune the denser and more beautiful your hedge will become. 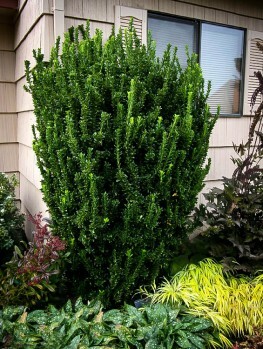 This tough plant is an excellent choice for a hedge or screen up to 15 feet tall or perhaps even more. It can be controlled to 3 to 5 feet wide. Because the root system is fibrous there are no large roots, so it can be planted close to a building, drive or walkway and it will not damage the foundations or lift the walk. Left un-pruned Burning Bush will grow into a small tree 15 to 20 feet tall and 10 to 15 feet across. Some trees may even become wider than they are tall. This is an elegant tree, with the branches growing almost horizontally as the tree matures. As a specimen in an open area, it makes a beautiful picture at all seasons. 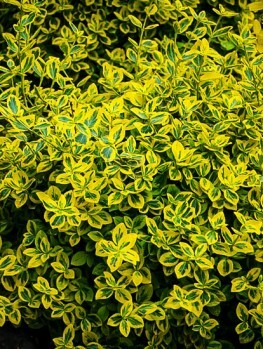 Pruned, it is easily controlled and can be grown into a hedge 5 to 15 feet tall. The trunk is usually quite small and the plant will usually have multiple trunks. The stems have ridges of light-brown bark along them which look like little wings – the word ‘alatus’ in the scientific name of the Burning Bush means a wing. The leaves are small, one or two inches long, and oval in shape. They are an attractive slightly bluish green color in summer, but in fall they turn the most brilliant scarlet red you can imagine. A tree or hedge in the fall is a magnificent sight and will be the talk of your neighborhood. The flowers are small and inconspicuous and the fruit is a small red berry that is a valuable source of food for many types of birds. Burning Bush is amazingly hardy right across America except for Florida and California where the winters are not cold enough for it. It even grows well up into Canada, so no matter how cold your area is, this plant will thrive. It will also be happy in exposed, sunny locations and in dry soil, once it is established. There is need to make any special preparations, just plant your Burning Bush in a sunny spot and it will do the rest. 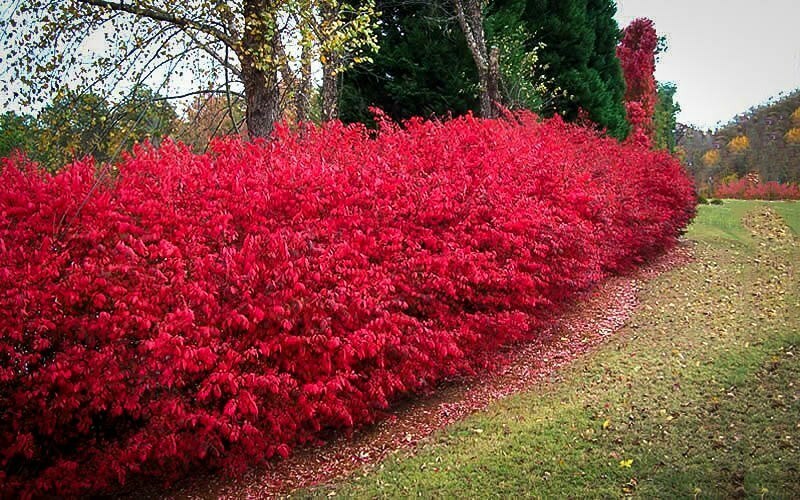 There are many different varieties of Burning Bush available. Some of them are very small and slow-growing, so they will never make a large hedge. 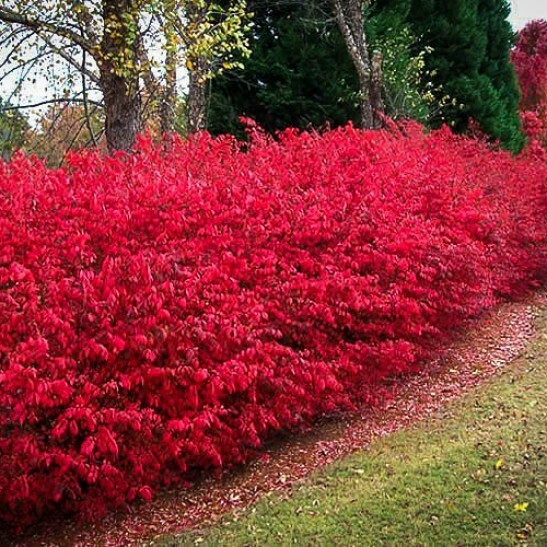 When planting a hedge or screen, Burning Bush should be planted 4-5 feet apart. It is important to buy the right plant, and our trees are grown the correct way, from branch cuttings taken from selected trees. That way every tree is identical to the original so they will produce a very uniform effect when planted in a row. However, these take longer to produce, so avoid cheaper, seedling trees that will only be a disappointment. Burning Bush will grow in sun or partial shade. However, trees grown in shade will not develop such strong fall colors, turning a beautiful pink, rather than red. So for the best fall color try to plant in a sunny location. This is a hardy tree that will grow in any kind of soil and rarely needs fertilizer. 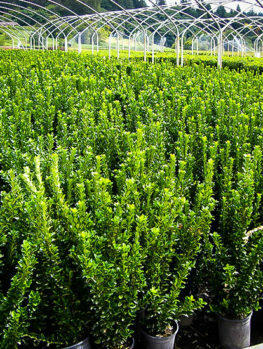 Some fertilizer may be useful in the first few years if you want to grow your hedge as rapidly as possible. Burning Bush can be pruned at any time of year and clipped as often as you want. The more you clip it the denser and fuller it will grow. If you want your hedge right down to the ground, remember to keep the top narrower than the bottom, with slightly sloping sides, so that the light will reach the bottom branches and keep them growing strongly.